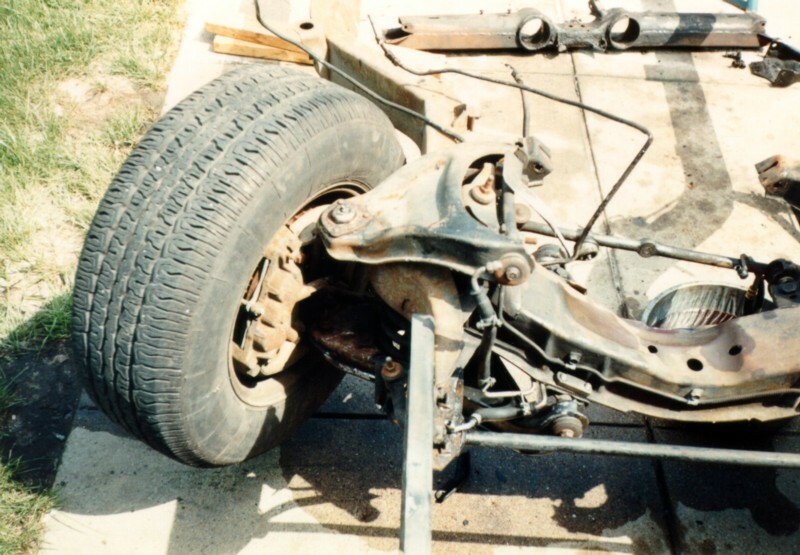 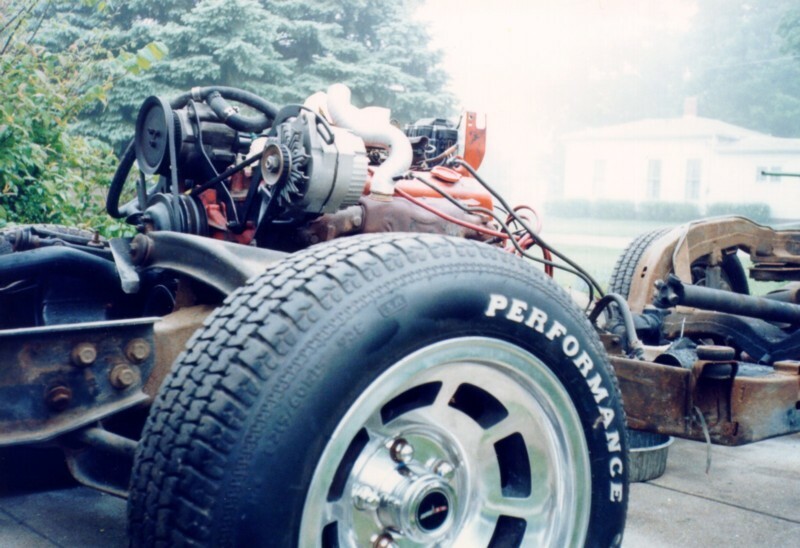 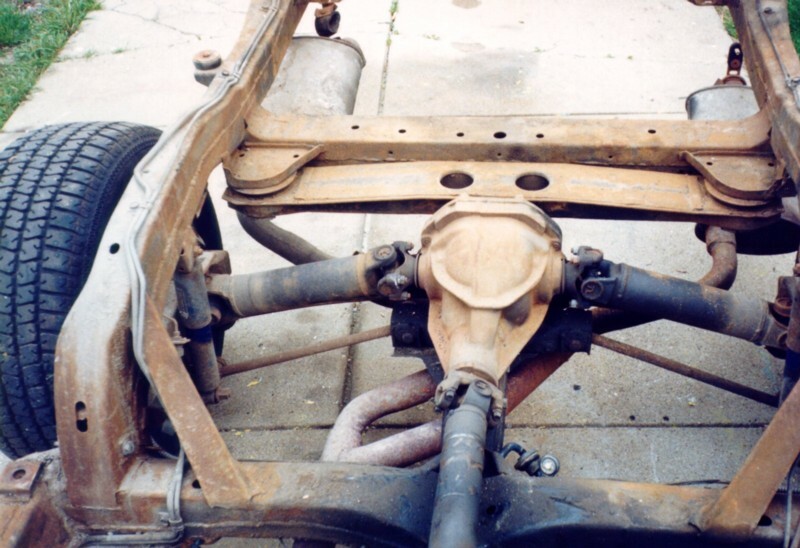 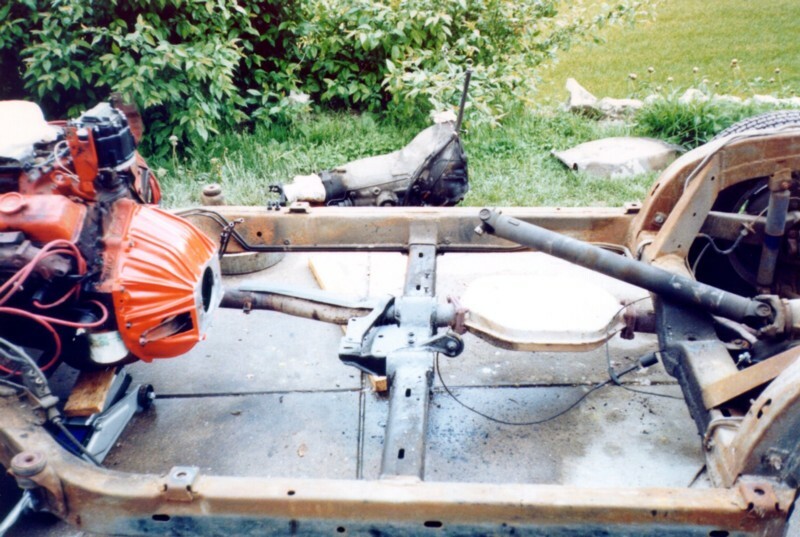 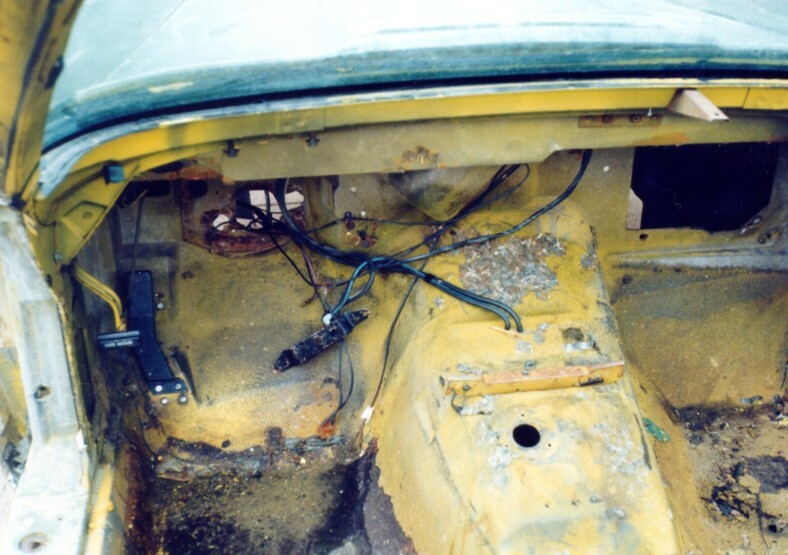 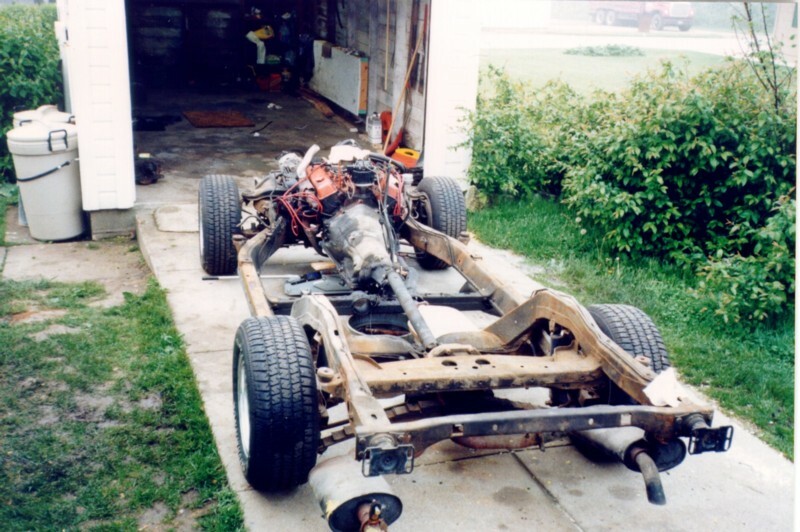 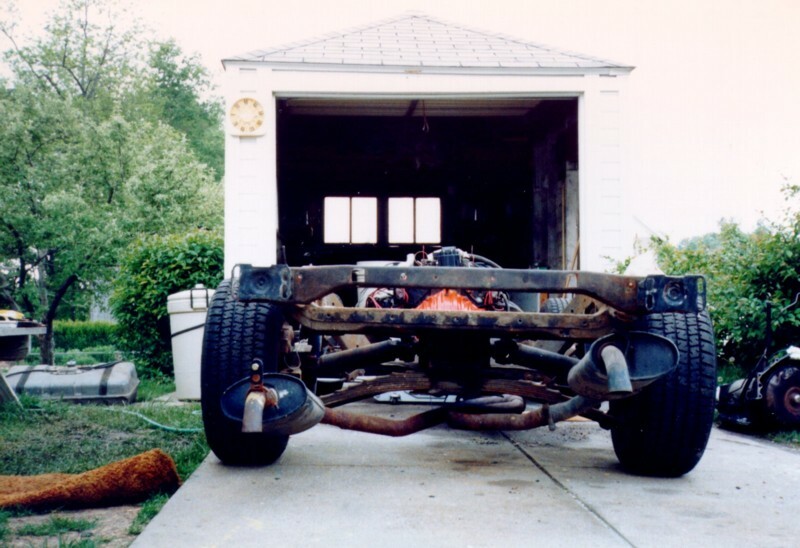 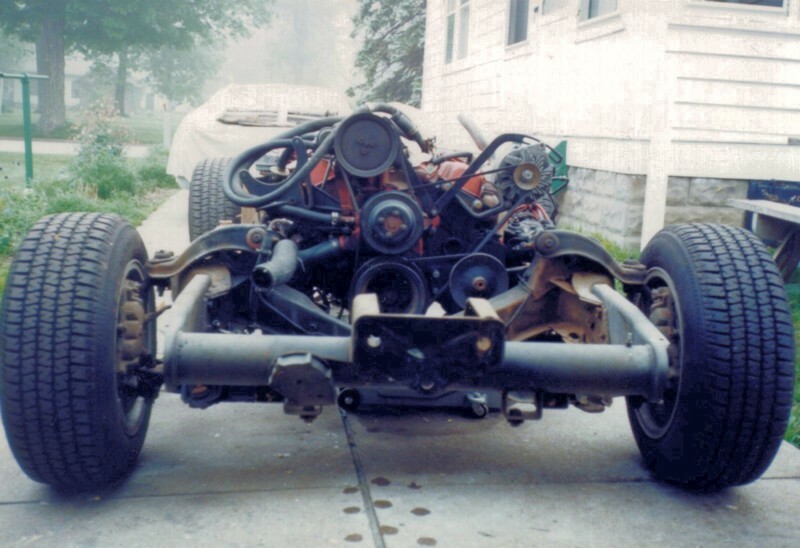 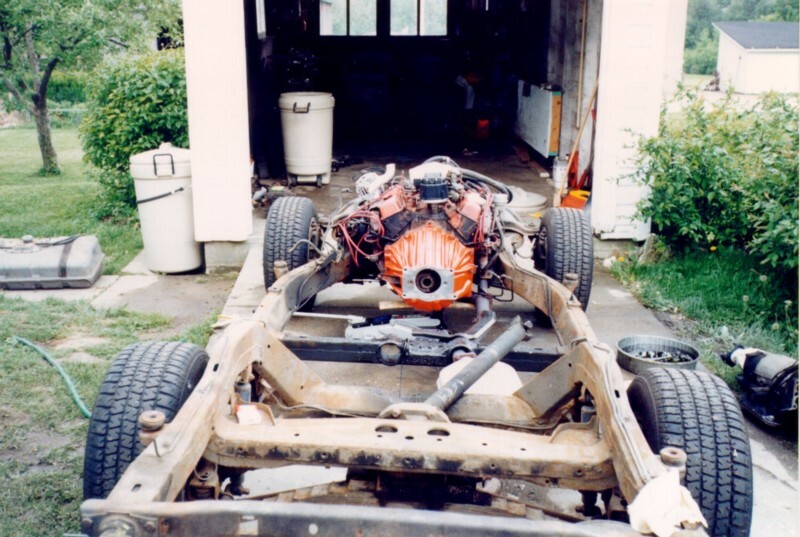 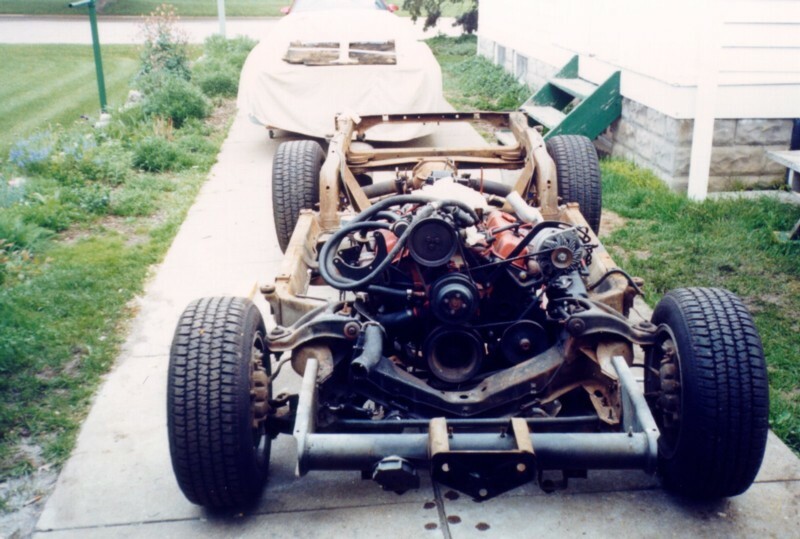 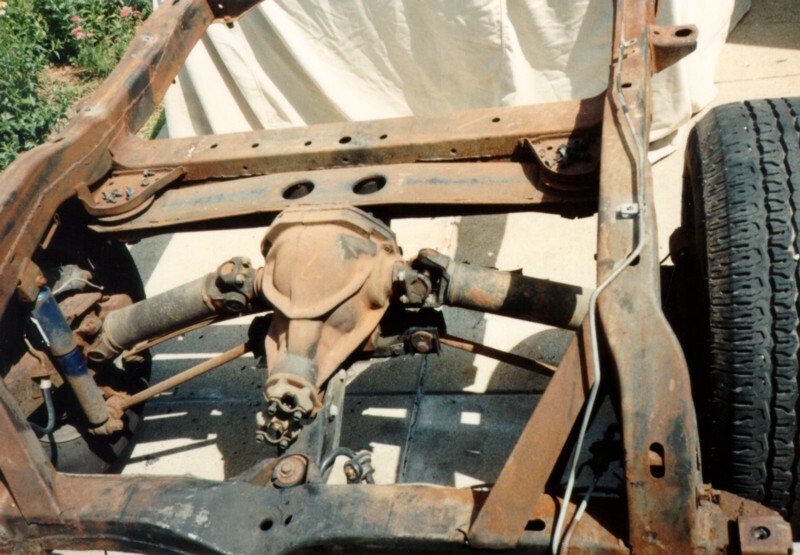 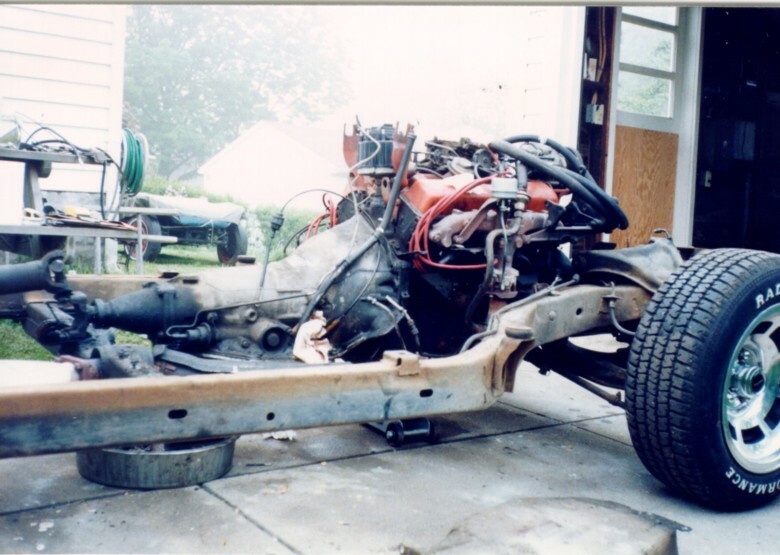 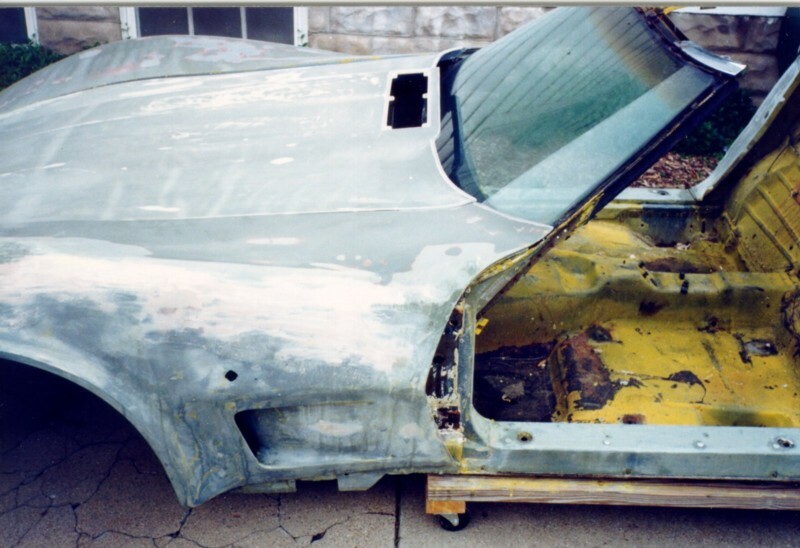 The previous owners took apart the car in hopes of a total restoration and some modifications to the car. 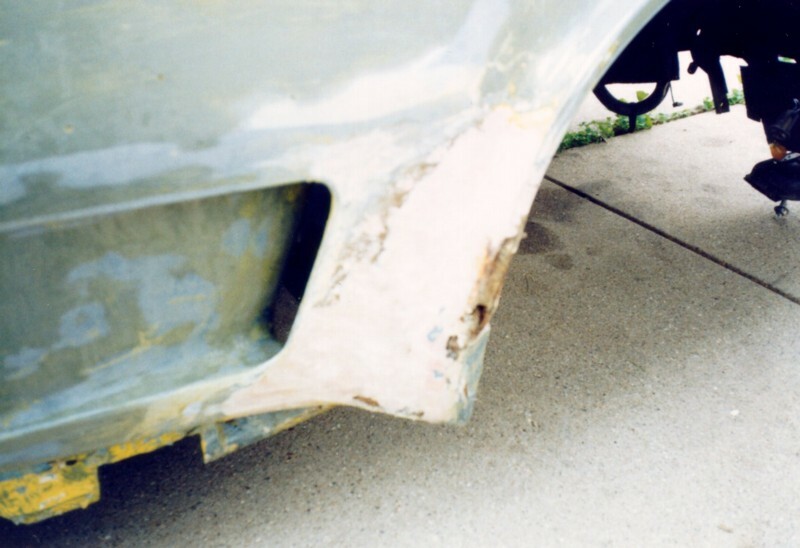 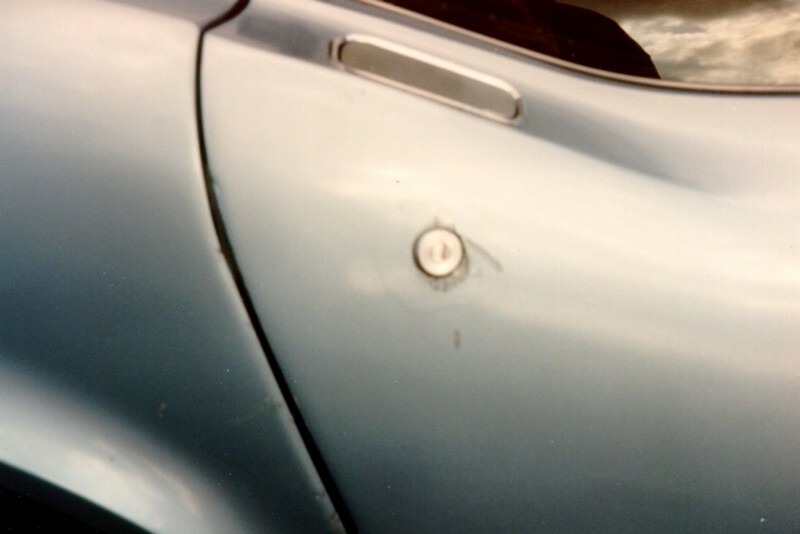 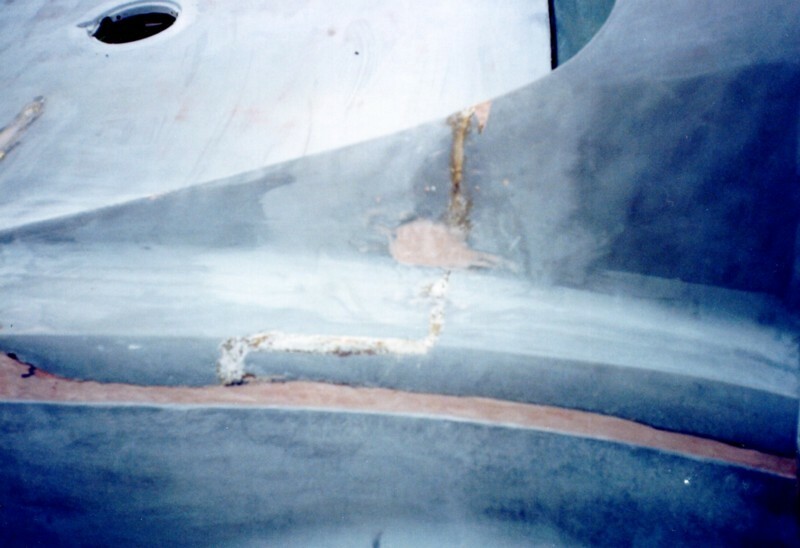 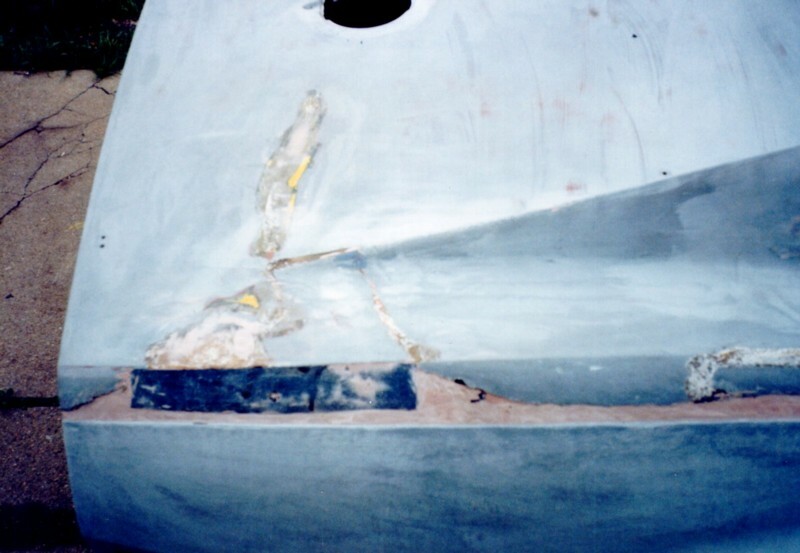 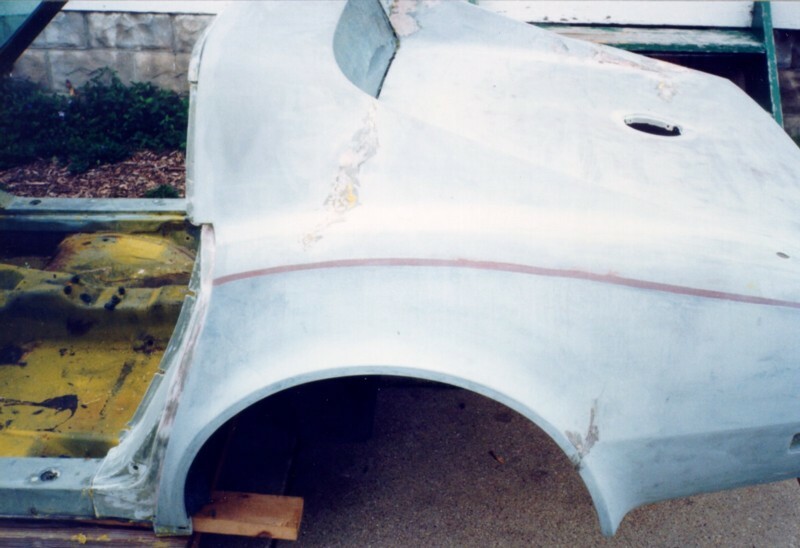 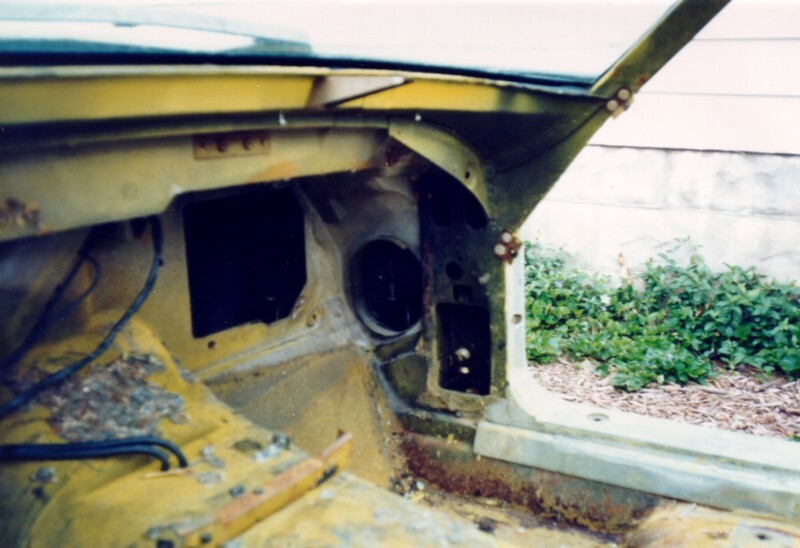 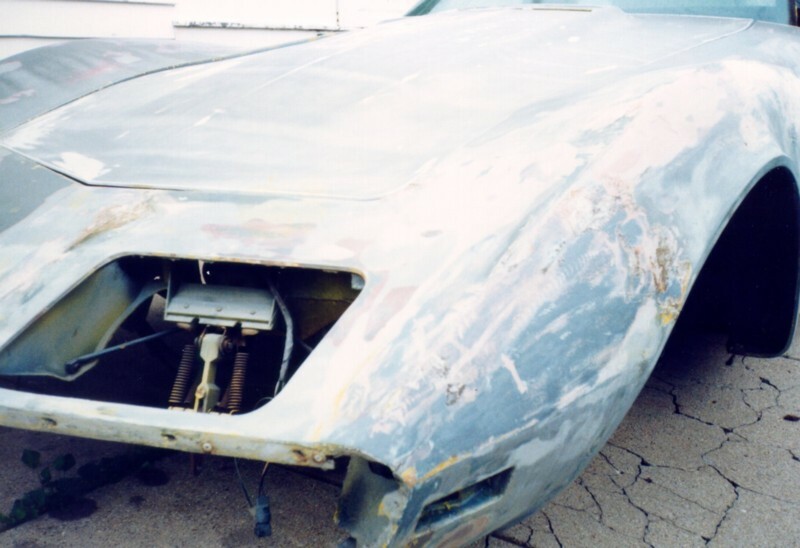 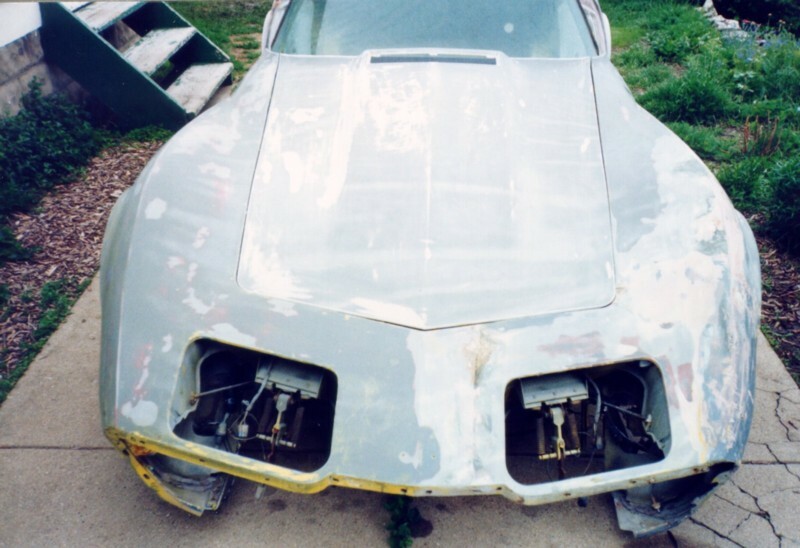 As you can see after all the paint was stripped away along with any bondo that resided where fiberglass once lived. 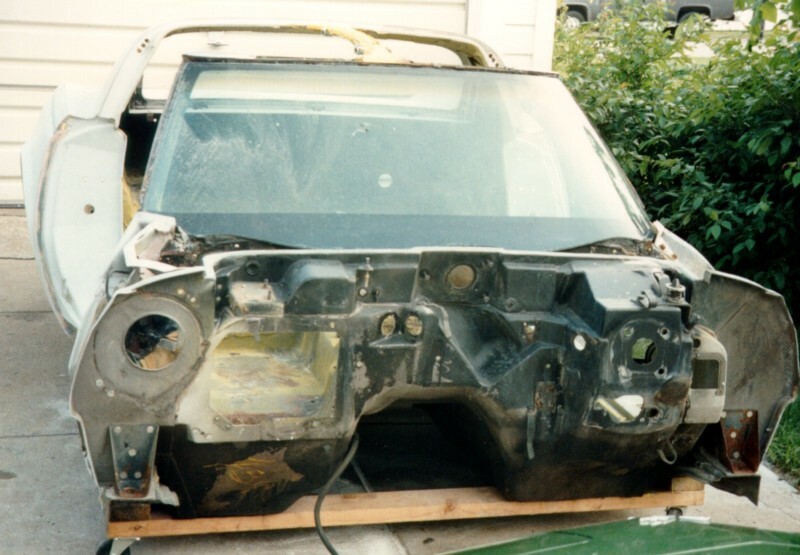 The car was apparenlty wrecked badly before finding its way from Califonia to Central Illinois. 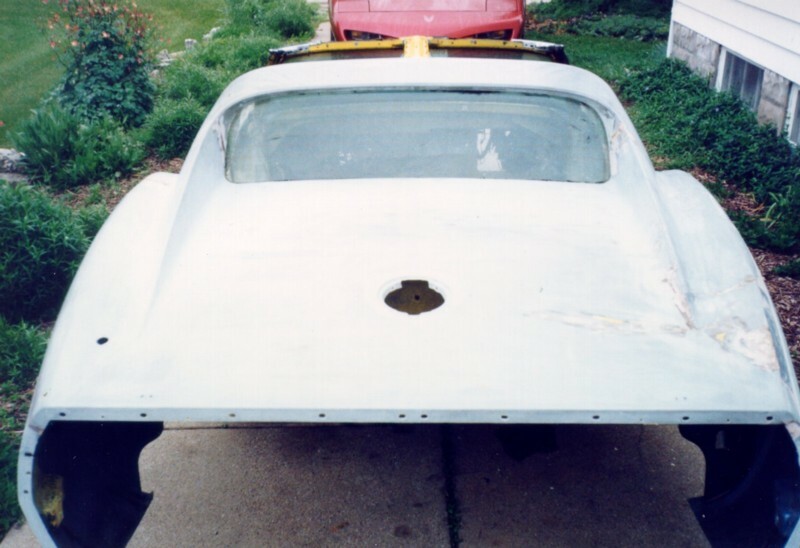 Now it has made a full circle back to the town where it was orginally put together St. Louis, MO.